The Scottish Cottage - "The Peat"
Dug with a spade from the bogs of Scotland and Ireland, set to dry and burned like wood in homes across the Highlands, this natural organic matter generates some of the nicest aromas and slow burning heat available. 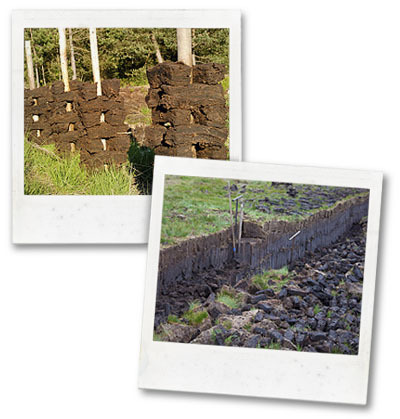 Scotsmen and Irishmen have long needed a resource for heat since the early days and since timber is scarce in their lands and now extensively protected, Peat is now and was the perfect resource for natural heat. We use this Imported Peat from Scotland and Ireland to smoke our meats, fish, cheeses and haggis.